Joanna Carver Colcord was born at sea–delivered by her ship-captain father–to Jane Sweetser and Lincoln Alden Colcord. Both her parents came from Maine seagoing people; her father often brought his family, which included also a younger son, Lincoln, on his voyages so that Joanna spent many years at sea and abroad. She completed high school through correspondence courses and attended the University of Maine 1902-1909. After earning a B.S. and M.S. in chemistry, she held several applied-chemistry jobs which disappointed her; had the academy been more open to women Joanna Colcord might have had a career as an academic scientist, for she liked research and worked to make social work a scientific discipline. Colcord studied at the New York School of Philanthropy where she was influenced and mentored primarily by Mary Richmond. She began her social work career in 1911 with the New York Charity Organization Society (COS). Except for a stint with the American Red Cross in the Virgin Islands in 1920-21, she stayed at the NY COS until 1925, when she became general secretary of the Family Welfare Association of Minneapolis. In 1929 she came back to New York to head the Charity Organization Division of the influential Russell Sage Foundation; from this position, which she held until 1945, she became one of the most influential national social work leaders. Throughout her career Colcord worked to raise the standards of professional training required of social workers and to promote what she considered scientific research and administration in social work. Her influence was at its greatest during the Great Depression, when she led in encouraging the private social work establishment to support federal relief and welfare provisions and to consider it part of social work’s appropriate function to agitate for better social provision. She was quick to understand that the casework method which previously formed the essence of social work’s claim to professionalism were no longer adequate in this period of mass deprivation. For example, in 1930 she called a national conference of private social work executives to plan for relief for the hard winter she (rightly) anticipated. During the New Deal she became an important liaison between private social work and the federal government’s welfare and relief administrators. She supported federal responsibility not only for relief but for a comprehensive economic security program – including not only programs that were passed but other vital ones that were not, such as health insurance — and organized private social work support for such a program. Mainstream in her political views and even on the conservative side of the social work continuum, nevertheless by 1936 she was among the many social workers critical of the Roosevelt administration for not doing enough and for retaining certain poor-law traditions in public provision (such as the categorical approach to relief). Yet she was also defensive of her profession. In 1943 she responded critically to an influential book, Josephine Brown’s Public Relief 1929-1939, which took private social work to task for it’s late and reluctant support of mass public relief. Colcord’s private life ended as unconventionally as it began. She had been single until 1950, in this respect typical of a generation of white professional and activist women in a culture which required women to choose between marriage and career. But in that year, at age 68, she married her recently widowed friend and coworker of 40 years, Frank Bruno, another social work pioneer, who was 74. He died in 1955. As an avocation Colcord wrote a book on sea chanties and another on the language of the sea. References: There are slightly longer biographies of Colcord in Notable American Women, by Clarke Chambers, and in the Biographical Dictionary of Social Welfare in America, by Beverly Stadum. Materials by and about Colcord can be found in several collections at the Social Welfare History Archives at the University of Minnesota. 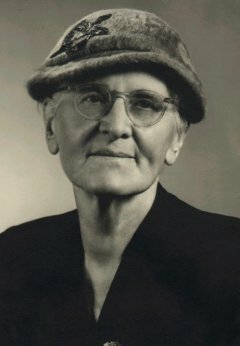 Colcord’s own works include: Broken Homes: A Study of Family Desertion and its Social Treatment (1919); The Long View: Papers and Addresses by Mary E. Richmond (1930), which she edited; Community Planning in Unemployment Emergencies (1930); Setting Up a Program of Work Relief (1931); Community Programs for Subsistence Gardens (1933), with Mary Johnston; Cash Relief (1936); Your Community, Its Provisions for Health, Education, Safety, and Welfare (1939). She also wrote two books on sea culture: Roll and Go, Songs of American Sailormen (1924), republished as Songs of American Sailormen (1938); and Sea Language Comes Ashore (1945). She wrote a regular column in The Survey from 1932 to 1935, published many articles, and several of her speeches can be found in the Proceedings of the National Conference of Social Welfare (NCSW).